http://www.facebook.com/pages/Dj-Rashad/152577002604 http://www.myspace.com/djrashad http://www.twitter.com/djrashad UK/EU Bookings: Marcus@littlebig.org.uk Outside of UK/EU: ghettotekz@gmail.com Interviews, Remixes, Requests: ghettotekz@gmail.com DJ Rashad has been instrumental to the creation and evolution of Chicago Juke music and has been lifelong friends with other key players on the scene such as Paul Johnson, DJ Gant-Man, DJ Spinn, DJ Godfather and Jammin Gerald. He has the ability to blend elements of house, ghetto house, disco, juke, and ghetto tech together with a knack for creating sparse, snappy tracks that manage to convey a physicality and funk with spectacular precision. 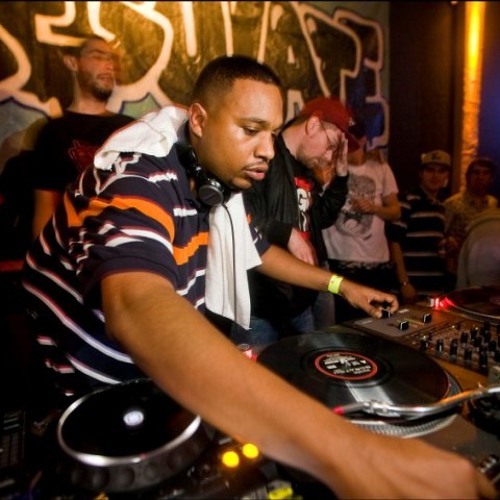 Along with his teammates DJ Spinn and DJ Gant-Man, DJ Rashad has become notorious for making Juke anthems that have made fans outside the world of Chicago mix cds. He’s released records on Dancemania, Juke Trax, Planet Mu, created his own label, Ghettophiles, as well as had featured remixes on BBE, Palms Out Sounds, and Movel Traxx. He’s received press coverage from DJ Mag, XLR8R, Fact, Resident Advisor, as well as Rip It Up. Additionally, he’s headlined parties such as London’s Night Slugs, Brussel’s Regulate, Chicago’s Mad Decent Block Party, and New York City’s Turrbotax and Moma’s PS1 events.